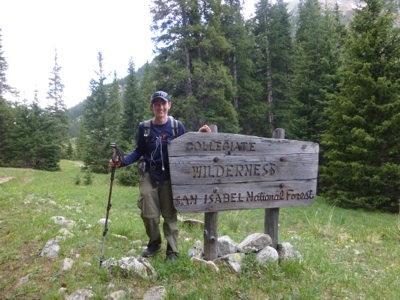 Today was a day I’ll always remember and is my new favorite day on the CDT thus far (Day 53: is my second favorite). I have this entry split into two parts so I’m able to load all the wonderfulness. Last night, Rockin’ and I did the math on our mileage. 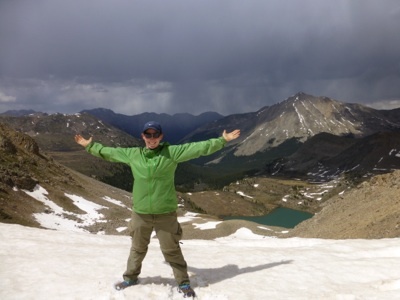 The day after tomorrow, we plan to do a popular side trip to summit Mt Elbert, which is the highest mountain in Colorado and the US Rockies at 14,433ft. We want Silly Chili to be with us for that, so we need to slow down a bit so he can catch up. The plan is to take it easy today and then wait for him at Twin Lakes tomorrow which is a tiny town on trail where our next resupply is. With this plan in mind, we didn’t set alarms this morning and figured we’d get going by 7am. Michael and Sydney, who brought us trail magic last night also slept at the trailhead in their car. They said they saw two moose in the meadow this morning. Michael wanted to go up trail a bit and try to find the crew since he brought food for the whole herd. He drove up the road while Rockin’ and I got packed up and we left a note for Silly Chili so he’d know our plan. I got to have the rest of my chocolate milk and a banana to kick off the day and Rockin’ was excited to eat a bunch of grapes. So great! We saw Michael on the way out and he did find the crew camped a mile or two up trail and was able to give them some stuff to start their day. Yay! The hiking today seemed to have a bit of everything. We started with a forested downhill and then came to a part of the trail that is a good example of some of the alternates that are on the Ley maps. Here is a picture of it. The official CDT is the route in red. The purple is the suggested alternate. There are a lot of these options and in this case, the purple alternate used to be the official trail. Apparently, the new longer trail loops around a marshy area and stream crossing to take you over a bridge. Rockin’ and I, like most of the hikers, chose to take the alternate and cross the marsh and streams. 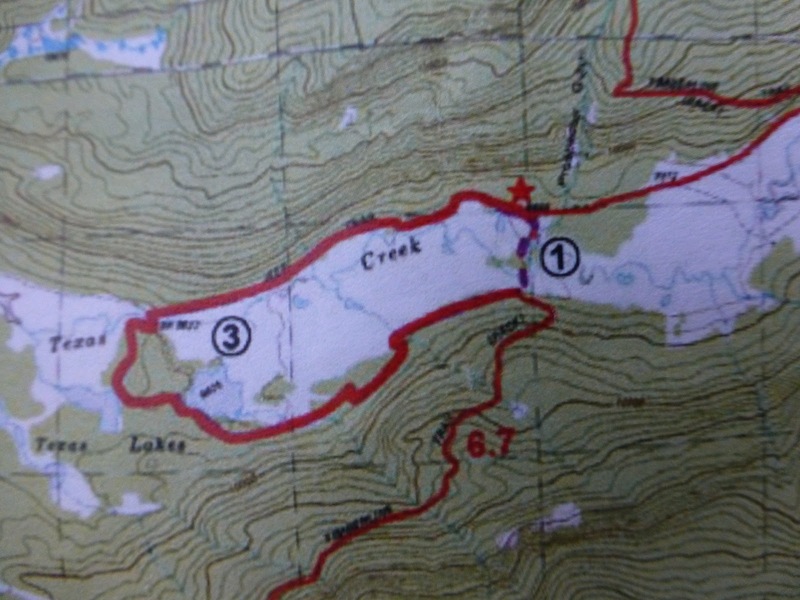 It cut off 3.2mi from the official trail. I just thought people would like an example of an alternate and why this trail varies in mileage from person to person. I’ll give more tomorrow as a similar situation will happen again. Once we crossed the marshy area, there was a long uphill that lasted most of the first half of the day with some downhill thrown in. 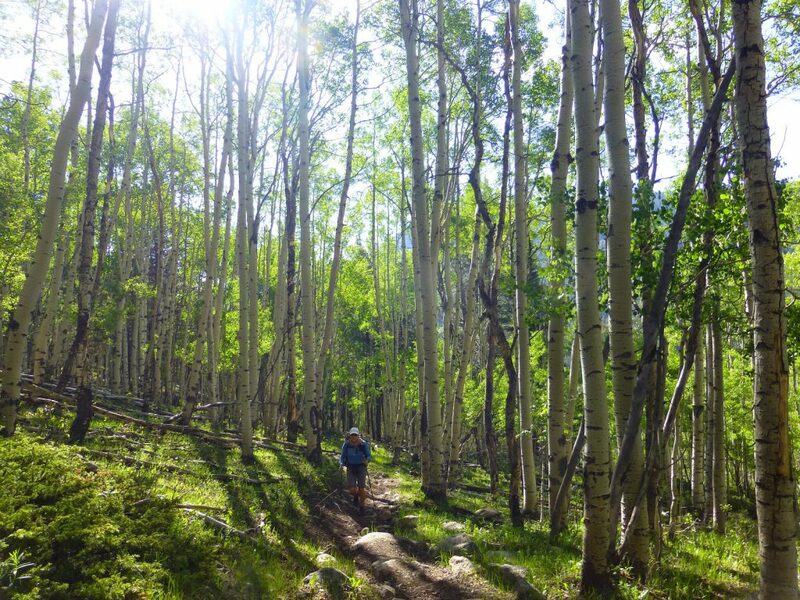 We got to hike through the aspens again, which we love! Halfway up, we took about an hour break to journal and charge our phones with our solar chargers (Suntactics sCharger-5) before the clouds rolled in for the afternoon. It was great to be so relaxed about the day! We usually like to journal at the end of the day in our tents at night while it’s all still fresh, but with the trail magic last night, we were too tired to journal. While we were taking our mid morning break, Bo walked by and was soon followed by Bloodbath and Rampage. Rampage had some altitude sickness two days ago, so they slowed yesterday and we didn’t see them. She is feeling much better now and hiking strong so that was great to see. After our break, we hiked another hour or two before we arrived at the base of a really steep and long climb, so we sat down again and had lunch while enjoying a great view. Again, it was great to have a relaxed day where we could take our time. The big ascent took us into a wilderness area I can’t believe I haven’t heard about before, the Collegiate Wilderness. All I have to say is WOW! The climb we had took us up 1,400ft in 2mi and topped out at 12,588ft. 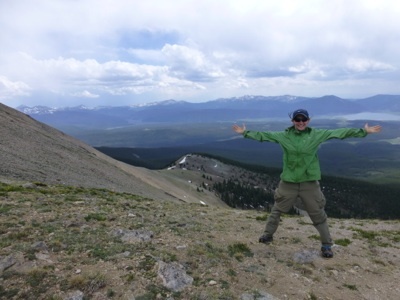 It was great training for Mt Elbert in a couple days! We were really pumped once we got to the top and celebrated with plenty of pictures as the dark clouds and high winds moved in for the rest of the afternoon. The first one is looking north and the second one is looking south.